So, I’m a day late & a dollar short on reporting Tuesday’s DVD releases. My sincere apologies, I got too award-show-excited & red-carpet-carried-away. This week will be good to you on DVD releases if you like a little action & some more gore in your life. 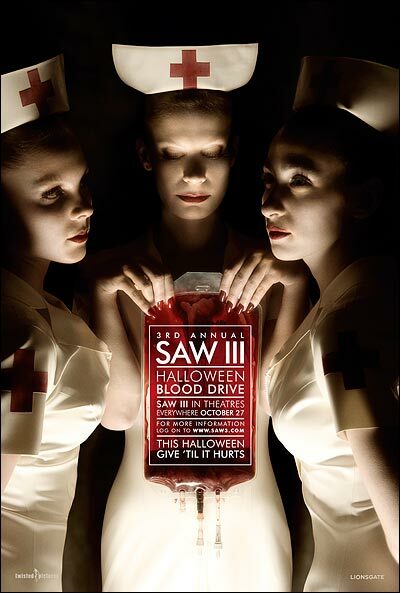 Released Tuesday January 23, 2007 were The Guardian starring Ashton Kutcher & Kevin Costner as well as the much-anticipated Saw III (Unrated Edition) with all your favorite Saw characters. I know you haven’t been shy at the movie store with the Saw series, they’re kind of addictive, right? Also out this week are Cocaine Cowboys, Cowboy del Amor, Jesus Camp, The Puffy Chair, Sherrybaby, This Film Is Not Yet Rated & IFC’s Unknown. I would personally skip the cowboys & head on over to Unknown, it’s looking pretty interesting to me lately. Now it’s your turn- What DVD release is the best this week?